Music can be ephemeral or it can be timeless. In that second category, a song can be of the moment and/or sound as if it belongs to a past epoch. 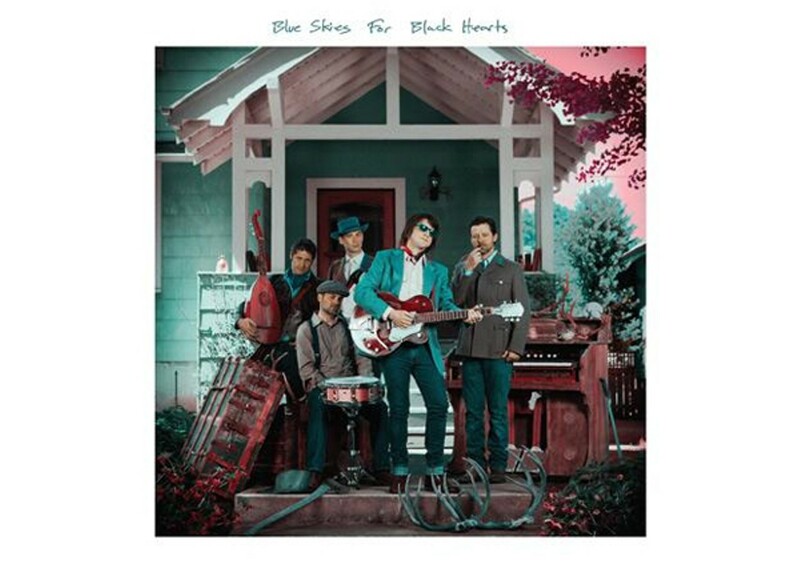 With its self-titled sixth album, Portland, Oregon's Blue Skies for Black Hearts is of the latter sphere — without being excessively derivative, BSFBH judiciously draws on a couple decades of pop history, from the Sixties through the mid-Seventies. "Love Scenes" evokes silky, forlorn-sounding R&B vocal groups like Smokey Robinson and the Miracles, while its limpid tempo, heavenly-cool background harmonies, and falsetto wail recall Frankie Valli's early days with the Four Seasons. "You Gotta Quit Kickin' Dog" is a punchy, sardonic rocker that Creedence Clearwater Revival or Thin Lizzy might've done in their respective hard-rockin' primes. "Waiting to Run" has Hollies-like harmony singing, a sweetly stinging guitar lead, a melancholy vibe, and a seething finale that will warm the cockles of any Big Star fan's heart, as will the clipped power chords and angst of "It's Gone on Too Long." With its mechanical cadence and repeating, semi-yelped ooh! refrain, "Don't Look Back" harks back to slyly subversive new wave from The Cars and Devo.